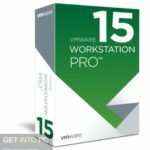 VMware Workstation 11 Free Download Latest Version setup for Windows. 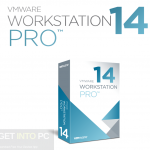 It is full offline installer standalone setup of VMware Workstation 11 for 64 bit PC. VMware Workstation is a virtualization tool which will let you run multiple operating systems on one PC and that too without affecting the stability of the system. This will allow you to run multiple machines on the same PC which will allow you to test and develop complex networked server applications. VirtualBox is another opensource such tool. 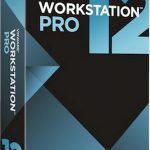 Installation of VMware Workstation 11 is quite simple and during installation it will allow you to choose either typical or advanced mode. When the installation is completed you will be welcomed with a simple yet organized interface which has got a Home panel consists of the shortcuts of the mostly used tools. 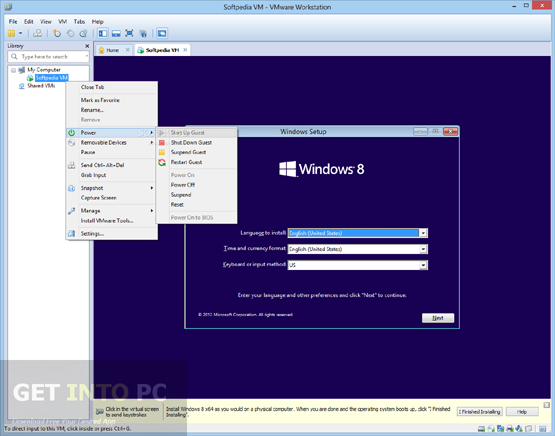 It has a multi-tabbed layout which will permit you to open multiple virtual machines to be opened at once. For newbies it contains a wizard which will allow them to create new virtual machines very easily. You can also Download VMware Player which is also great tool. VMware Workstation 11 now supports multiple new guest operating systems which includes Windows 8.1, Windows 10 Technical Preview, Windows Server 2012, Ubuntu 14.10, CentOS 7, SuSE Linux 12 and OpenSuSE 13.2. VMware Workstation 11 has also got support for high DPI. It has been optimized for high resolution like QHD+ for laptops and tablets. 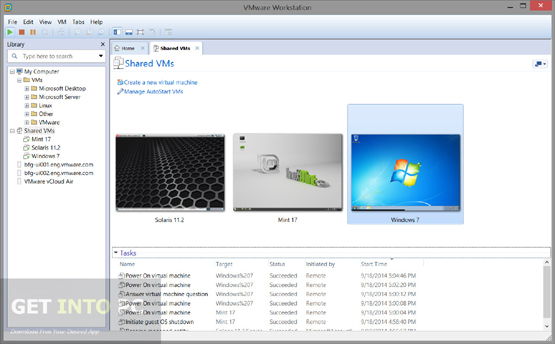 The desktop icons for different virtual machines can be created easily with VMware Workstation 11. The virtual machines can be booted with the EFI support. It has also got support for latest processors like Intel 64 bit x86 for maximum performance. 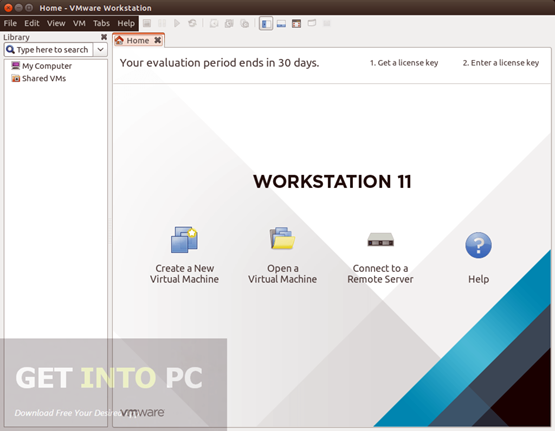 You can also Download VMware Workstation 10 which is older version. 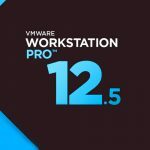 Below are some noticeable features which you’ll experience after VMware Workstation 11 free download. Can test and develop complex networked server based applications. Home panel included for accessing different tools quickly. Supports for multiple new operating systems. Optimized for high resolution like QHD+ for laptops and tablets. Can boot virtual machines with EFI support. Desktop icon for virtual machines can be created. Support for latest processor for maximizing the performance. Before you start VMware Workstation 11 free download, make sure your PC meets minimum system requirements. 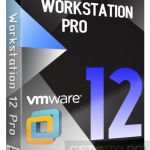 Click on below button to start VMware Workstation 11 Free Download. This is complete offline installer and standalone setup for VMware Workstation 11. This would be compatible with both 32 bit and 64 bit windows.